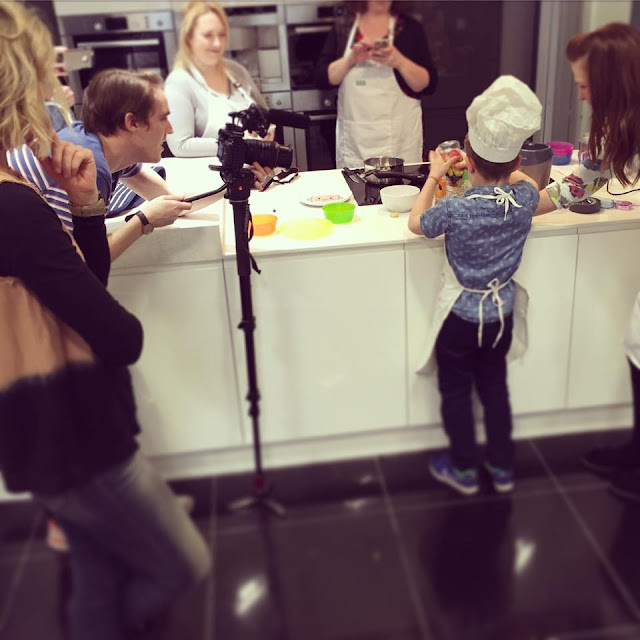 When I was invited by Wren to come along to their 'Little Kitchen' and work on some healthy eating ideas and habits for kids with their creative director Linda Barker I was so excited. I often say I don't think Im the best mother, we probably have way too much i pad fun, bed times are negotiable and I scream into pillows....a lot however the one thing Im proud of is how well my boys eat. As a family we have always encouraged them to eat what we do and to try new things so this was right up my street. When I realised Archie was invited as well though, we both did a squeak. Road trip. 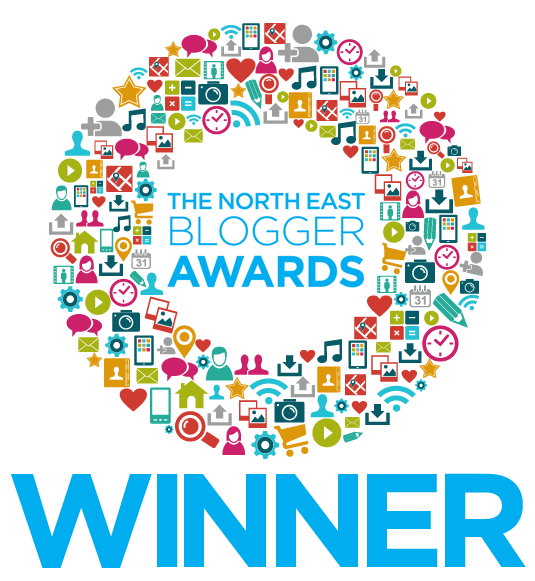 So one Saturday last month we set off to the Wren kitchen headquarters in Yorkshire called 'The Nest'...I know lush name. We were welcomed by their fab team and the lovely Linda Barker who was so friendly, chatting about her own daughter and how it can be very challenging to get kids to eat healthily. So we then got cracking with the day of fun tasks. 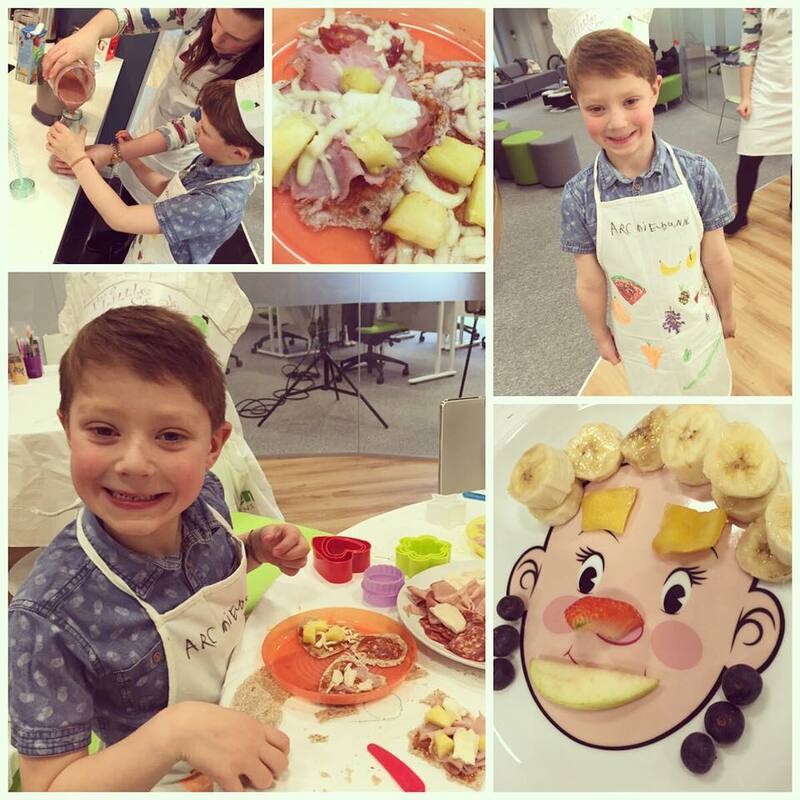 First we decorated an apron, then we made healthy pizzas, made some funny faces with healthy goodies, whizzed up some fruit smoothies and identified with a blind test different fruits and vegetables.